This is the card I made for one of my dearest friends daughter. She got married yesterday and it was beautiful. Since I designed her wedding invitation, I knew the wedding colors. I have been sharing samples of wedding favors for a while now that I designed with this wedding in mind. 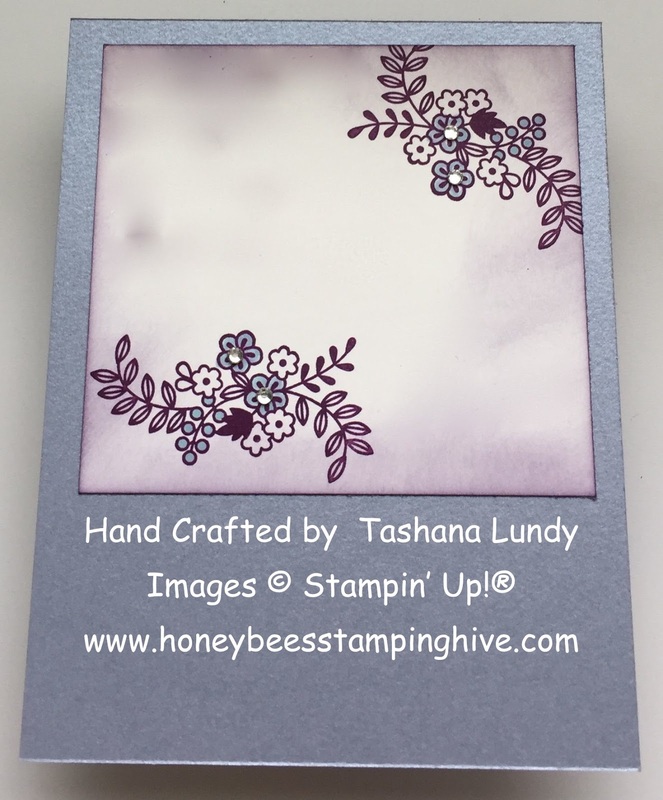 I only used one stamp set to create this Fun Fold Card. The stamp set is called: For the New Two. I just love it. 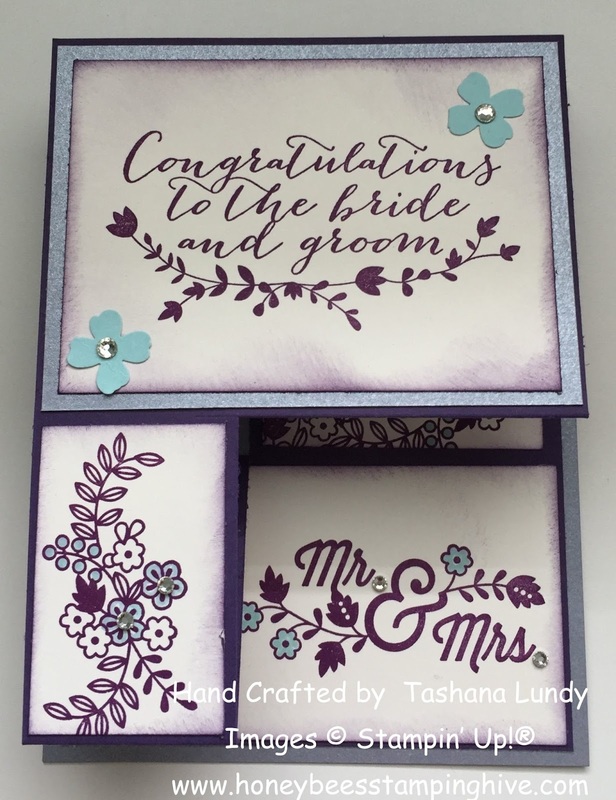 I used Elegant Eggplant, Very Vanilla, Pool Party, and Brushed Silver card stock. I stamped all the images using Blackberry Bliss ink. I added a pop of color with the Pool Party Stampin' Write Marker, Basic Rhinestone Jewels, Bitty Butterfly, and the Elegant Butterfly punches. 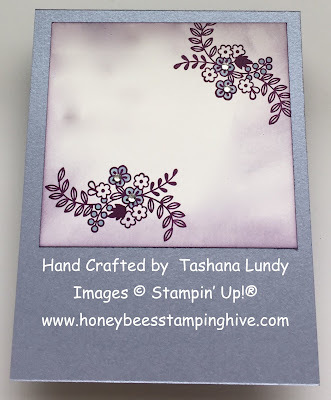 Below is the matching Gift Tag I made using all the same supplies, just adding the Scalloped Tag Topper punch.